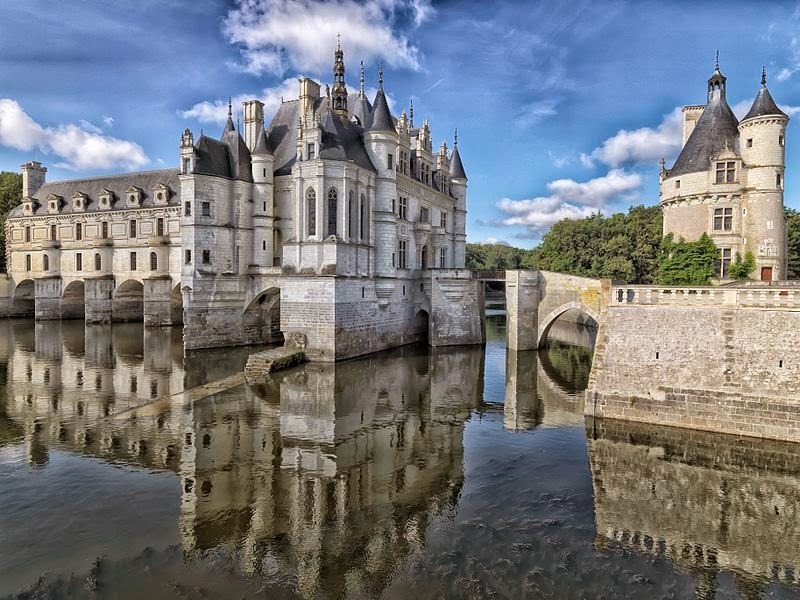 The Château de Chenonceau is a French château spanning the River Cher, near the small village of Chenonceaux in the Indre-et-Loire département of the Loire Valley in France. 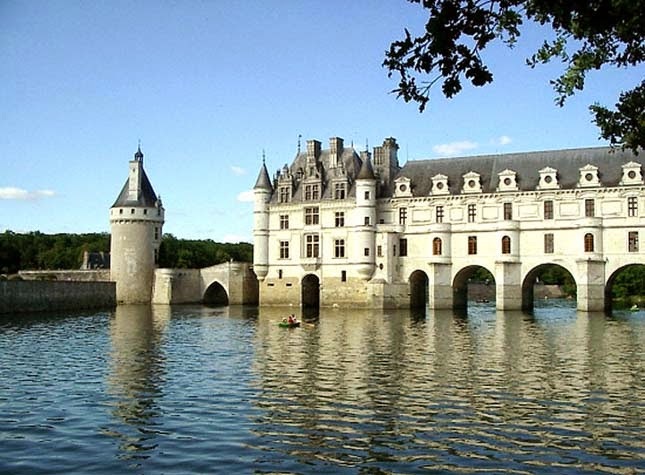 It is one of the most well-known châteaux of the Loire valley. The current château was built in 1514–1522 on the foundations of an old mill and was later extended to span the river. The bridge over the river was built (1556-1559) to designs by the French Renaissance architect Philibert de l'Orme, and the gallery on the bridge (1570–1576) to designs by Jean Bullant.